KOIs are all planetary candidates !! Please, read carefully and realize that they talk about 706 candidates but the list at page 21 includes KOI numbers up to 896.... so there were some KOIs that weren' t planet candidates (in fact they were false positives). I don' t find any change. Only they have changed the reporting phylosophy. "... These newly announced planet candidates bring the current count of Kepler planet candidates to 3,216..."
Moons above 0.54 Earth masses are excluded around Kepler-22b to 95% confidence. Also presents somewhat tighter constraints on the planetary mass. Kepler's quest for other Earths need not end just yet: it remains capable of characterizing cool Earth-mass planets by microlensing, even given its degraded pointing control. If Kepler were pointed at the Galactic bulge, it could conduct a search for microlensing planets that would be virtually non-overlapping with ground-based surveys. More important, by combining Kepler observations with current ground-based surveys, one could measure the "microlens parallax" \pi_E for a large fraction of the known microlensing events. Such parallax measurements would yield mass and distance determinations for the great majority of microlensing planets, enabling much more precise study of the planet distributions as functions of planet and host mass, planet-host separation, and Galactic position (particularly bulge vs. disk). In addition, rare systems (such as planets orbiting brown dwarfs or black holes) that are presently lost in the noise would be clearly identified. 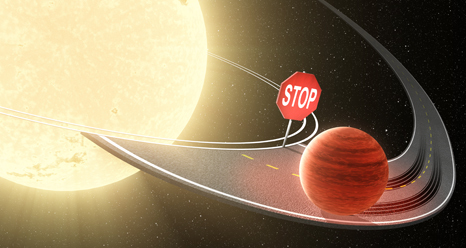 In contrast to Kepler's current primary hunting ground of close-in planets, its microlensing planets would be in the cool outer parts of solar systems, generally beyond the snow line. The same survey would yield a spectacular catalog of brown-dwarf binaries, probe the stellar mass function in a unique way, and still have plenty of time available for asteroseismology targets. Interesting idea, and I'd always wondered if Kepler would by chance see a microlensing event even if it were not aimed at the best field of view for such things. Wonder what the Kepler team has to say about this idea. From the mission manager update pochimax posted earlier, it looks like they are still trying with the reaction wheels. - The team continues to disposition Kepler Objects of Interest (KOIs) found by searching the observational data from Quarters 1 to Quarter 12. With 63 more planet candidates added since the last report, the count now stands at 3,277. Looks like some motion in both wheels. They're working to see what steps to take now. Left out the quote box to add to the suspense, huh? Four more two-planet systems from TTV analysis. Looks like they found planet candidates in periods as short as 3.3 hr. Proposes a way to correct for the drift of stars on the CCD using short-cadence photometry. We also outline the modifications needed to flight software in order allow for such observations to take place, aiming to provide ample non-photometric data that should allow post-processing to recover most of the pre-failure photometric performance. In total, the KeSeF Mission will allow Kepler to follow up it's own previous discoveries in a way that is not otherwise possible. By doing so it will enable to continue pursuing nearly all the science goals that made the original mission choose staring at a single field of view in the first place. Teleconference today about the status of the Kepler spacecraft. "We do not believe we can recover three-wheel operations for original mission." Now studying two-wheel ops. Science and engineering study due in fall to assess usability and science output for Kepler. Will evaluate whether it's worth the funds to keep it going. Now moving onto data analysis phase. A transiting planet exhibits sinusoidal transit-time-variations (TTV) if perturbed by a companion near a mean-motion-resonance (MMR). Among the low-mass Kepler planets, the fraction of transiting planets that show TTV can be taken as a proxy for the intrinsic frequency of companions orbiting close to and inward of the 2:1 MMR. We search for sinusoidal TTVs in more than 2600 Kepler candidates, using the publicly available Kepler light-curves (Q0-Q12). We find that the TTV fractions rise strikingly with the transit multiplicity. Systems where four or more planets transit enjoy four times higher TTV fraction than those where a single planet transits, and about twice higher than those for doubles and triples. In contrast, models in which all transiting planets arise from similar dynamical configurations predict comparable TTV fractions among these different systems. Our results therefore suggest that there are at least two different classes of Kepler systems, one closely packed and one more sparsely populated. Here is the plots for Xie et al. 2013 TTV candidates. Can we consider this 67 figures as confirmation of 67 new validated/confirmed KOIs? That seems reasonable. Not sure though.